They made their world live debut on 17 August 2002 at the Progman Cometh Festival (Seattle), release their only (studio) album in 2003 and ceased existing as such in 2004 substituted by SOFT MACHINE LEGACY. SOFT WORKS is a supergroup consisting exclusively of ex-members of SOFT MACHINE. Indeed, a remarkable line-up! British jazz-rock pioneers Elton DEAN, Allan HOLDSWORTH, Hugh HOPPER and John MARSHALL deliver their most impressive performances to date. The collective and individual talents of these legendary players blend to create a heady mix of fusion, progressive rock, and jazz. They have reunited on this trippy recording that is among the most easily explored jazz adventures of this year. "Abracadabra" is a fine recording of fusion jazz which please followers of any or all of the contributing players, and attract new listeners as well. The album comes highly recommended only to those whose passions for music are exclusively on the jazzy side of Jazz-Fusion. It is a testament to the fact that the best players do not sit still; they evolve, and SOFT WORKS is a group that is all about growth. 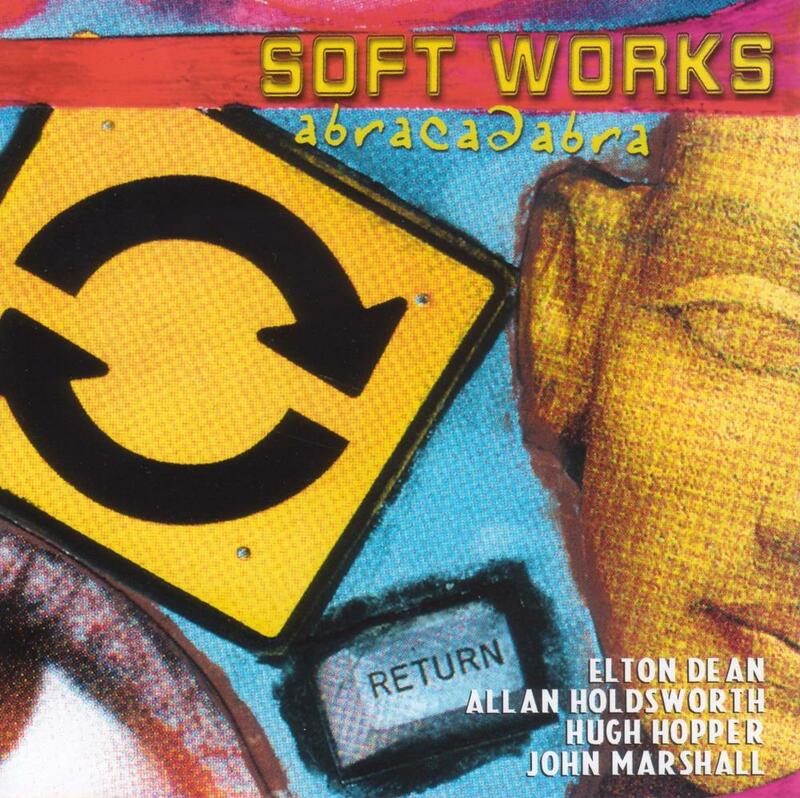 Soft Works was one-shot Elton Dean lead Soft Machine incarnation of new millenium. All- stars quartet consisting of two "classic line-up" Softs (Elton Dean-Hugh Hopper) and two later and quite successful Soft Machine versions members (Allan Holdsworth - John Marshall). It's interesting that all being Softs members in different time Soft Work members never played as one band till now. It is not a mistake this sole project's album is credited to Elton Dean as leader - in other words you can listen to Elton Dean's version of Soft Machine here.And - modernized version, not nostalgic one. Album contains mature, a bit philosophic and very slightly melancholic music, based around Dean's sax soloing. It's still very fusion album - other very important instrument is Holdsworth guitar, but not as you remember it sounded when he played as Softs member last time. Here Holdsworth use mostly syntax guitar he liked to experiment with on his some early solo albums. In combination with Dean's saxello those two instruments build specific sound timbres,very different from what you could expect from Soft Machine's sound. 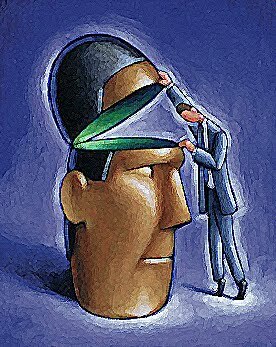 At first impression all sound could be called "flat and synthetic" but after repeated listening one can just understand that it's just new Softs for new era. With very competent support from rhythm section, Dean's freer sax steals the show. Even if Holdsworth guitar is almost equal partner in album's music, Dean's expanded free jazz soloing over the generally fusion sounding songs (compositions are mostly Dean's as well, some coming from his previous solo albums)openly shows who is the boss here. Such "Dean's Soft Machine" version is really interesting to be heard because being important band's member from their golden age Dean never was one of the band's leader. This album is in fact one and only release which could be counted as Elton Dean-lead Soft Machine's work (Soft Heap was another Dean-lead ex-Softs project but it couldn't be called Soft Machine incarnation). Looking from now it's obvious that this transitional release became first step for reanimation of Soft Machine few years later - same line up just with another ex-Soft Machine guitarist John Etheridge instead of Holdsworth two years later will start playing as Soft Machine Legacy (read - new millenium Soft Machine), but that project will be openly lead by Etheridge and will play more heavyweight guitar-based fusion,even if seriously rooted in sound, presented on "Abracadabra". After few first and not very successful recordings with Soft Machine Legacy Elton Dean died in 2006 leaving Soft Works as best evidence what Dean's Soft Machine sounds like. More jazz than Soft Machine. I did expect a bit of a Soft Machine nostalgia or even a continuation of the loose ends from Soft Machine on this album. The members here have all played a vital part in Soft Machine. If any doubts, I am referring to Allan Holdsworth, Elton Dean, Hugh Hopper and John Marshall. But Soft Works was either brave or commercially foolish at this album, the one and only Soft Works album. This album is not a Soft Machine spin off. It is a pure jazz album. Elton Dean dominates this album with his sax and saxello. I don't think Allan Holdsworth has been given that much space, though. But he is still very much present here. Hugh Hopper is thundering away on his bass as per usual. John Marshall is playing much softer and more jazzy with wisps instead of drumsticks on this album. His playing is very soft here. That gives this album it's distinctive jazz feel. There is no major flaws on this album. The music is good throughout. I am a jazz newbie and I bought this album because of the Soft Machine connections. I am not disappointed though because this is a very fine album. Two of the members (Hopper and Dean) here are dead now and this is therefore the only Soft Works studio album out there unless somebody finds some studio outtakes tapes and release it. It is a good testament to a band who did it their way......... with style. 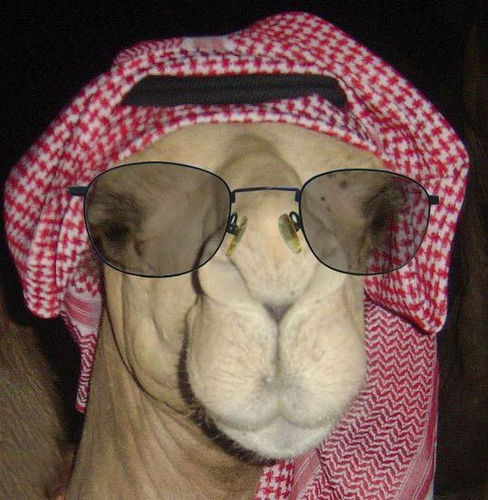 Respect ! When the former members of a prog/jazz supergroup reunite after thirty years they could be forgiven for releasing a crowd-pleasing visit to familiar territory. Not so with these four. All were at one time or another part of Soft Machine and all have gone on to many other musical projects. Although the name 'Soft Works' pays a clear homage to their roots together the music on 'Abracadabra' leans much more toward contemporary jazz and rarely reveals any rock roots. It is, however, still very much a fusion of styles and the pedigree of musicianship speaks for itself. Apart from the odd corny pun in titles like 'First Trane' or ' Baker's Treat' this album will bring gasps of joy from their old fans and from many jazzers. 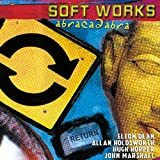 Soft Works first album, Abracadabra (Moon June), was release in Japan early in 2003 by Universal Japan, while the rest of the world had to wait patiently for several months for its release (Tone Center in UK and USA). Recorded in London June 2002 largely in single takes, the promised release date was delayed as the band's perfectionist insisted in doing his overdubs in LA - clearly to the frustration of many. Am I disappointed? No!!! Am I surprised by its music? Yes but I did not expect this calibre of musicians to simply pick approximately where they left off in the 70's. They had long moved on!!! But note, as you read this review you'll find I'm pre-disposed to the band. And for the obvious reason that Soft Works is directly related to the Soft Machine through its personnel, innovators of the European jazz rock in the early 70's; I can't say enough about the importance of the Machine. In order of service with the original Machine, Soft Works are Hugh Hopper (electric bass), Elton Dean (alto sax, saxello, Fender Rhodes), John Marshall (drums) and Allan Holdsworth (guitar and Synthaxe). Even though I have to hark back to the last century, be reminded that these gentlemen weren't all in the Machine at the same time. This is a dream band, indeed a supergroup, producing good music? Abracadabra finds all musicians on top form. Elton Dean and Allan Holdsworth have about equal shares of the lead through this record, and come up with some tingling duet work. Fewer words are said below about the rhythm section of Hopper and Marshall. Hopper is his usual economical self, never flashy but still providing that distinct bass-sound of old - even though there is less of the fuzz effect. John Marshall is the master drummer, and here demonstrating a broad and deep range from jazz rock to free jazz, which reinforce his ranking with the best. 'Seven Formerly' (ED/JM) (10.22) opens the album, with a nod to the past. Synthaxe (I presume, rather than the Rhodes), is used to create the Terry Riley-influenced, minimalist opening bars first heard back on Third's 'Out-Bloody-Rageous'. [On this assumption, the opening bars parallel and faintly echo of the opening of his album Metal Fatigue. On that, after striking some heavy chords as an opening statement, seemingly in acknowledgement of his name being on the lips of every heavy rock axeman of that time, Holdsworth reverted to what his does well, playing his form of jazz rock]. And then, after a few bars of the minimalism, we are into the modern jazz which is Soft Works.This is but a brief acknowledgement to the past, because the group quickly get on with the new - new jazz built on thirty years of taking musical risks: exploring, developing and shifting the boundaries. Dean melodically leads on alto, while Holdsworth's legato provides embroidering with its echoing fills. At first Hopper and Marshall are arhymic but settle down to a medium pace, toe -apping rhythm. By now the piece has moved to classic Dean, as he swoops as old, as Holdsworth chops. Nothing is wasted, nothing duplicated. Six and half minutes in and Holdsworth takes the lead for a mere 80 seconds - love at first hearing. Similarly, nothing wasted, nothing duplicated. I've said it before, Holdsworth is at his best improvising other people's music, and here the economy with tightness of statement shows. This evidence Holdsworth is still getting better - further shown on his latest release All Night Wrong. 'First Trane' (HH) (11.53). This tune and arrangement is a reaffirmation that John Coltrane's modal jazz remains a significant force with the band members. Hopper leads with a simple bass riff, quickly taken up and developed by Dean, although within the space of a few bars, we are treated to a Dean/Holdsworth duet. This powerful duet takes the form of a call (by alto) and reply (by guitar) - and you have to ask: when was Holdsworth last pushed like this on record? Almost gilding the lily, belatedly Holdsworth takes the lead before a return to the dueting after 9 minutes. Two very strong tracks already, and 6 to go. And the third is great too, and perhaps my favourite..
'Elsewhere' (HH) (8.01). Did Hopper write this with Holdsworth in mind? 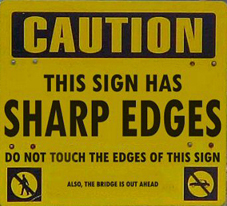 It has a hallmark, reflective Holdsworth legato opening. Marshall breaks in, upping the ante with a galloping beat, and allowing Dean to kick off on a long alto solo - reminding us this man is a world-class sax player. Wow! 'K-Licks' (Phil Miller) (6.48). For the first time on this album Hopper activates his famous fuzz bass tone. Initially the bass interplays with the tenor, but Dean moves to the fore to play the first of the freer, improv jazz tunes. A hard one for the jazz rock fans, but a joy for those who prefer Dean in an improvisional mood. And dare I write it: there are times when I find the guitar-work is over-elaborate and even intrusive as here - the arrangement and playing here don't compare too favourably with the few instruments used on 'Madam Vintage', later on. 'Baker's Treat' (ED) (5.40). (A nice English pun of a title). Having counted the tune in, Dean breaks his saxello out from its case for a slow, mellow piece. Holdsworth' accompanying resonant legato is initially set some way back in the mix, well complimenting the sax solo. I 'm trying to avoid over-enthusing the quality of soloing by either musician, but again no disappointments here. That is but for one: the tune is over before you know it. 'Willie's Knee' (ED) (5.17). This is as close as we are going to get to jazz rock on this album, and one for those who might be troubled by the straighter jazz elsewhere. Dean's Fender Rhodes leads with Synthaxe to the rear, on a catchy upbeat number. About a minute in and a trade mark, longish Holdsworth solo ensues, all legato mixed with those fast runs - how does he keep it fresh? Then alto sax double tracked with Fender at approximately 3 minutes in - and this time I'm surprised and pleasured by Dean. 'Abracadabra' (HH/JM) (7.34). This opens slowly and majestically, reminiscent of European chamber jazz: is this the album's ECM track? A hint of another ECM element is Dean's use of a swooping and soaring saxello, a la Garbarek (e.g. as on the album All Those With Wing) - but wash my mouth out; as soon as I cast my mind back, I remember Dean did this sort of thing well before the appearance of Jan Garbarek. A few bars in and Hopper cranks up the rhythm a touch, as he introduces a vaguely Spanish riff. saxello and guitar follow the bass, before easing their way into the lead. Time for another great piece of playing by Dean, while Holdsworth seems to be at his most relaxed, providing the necessary, understated support to Dean's. This is the track where Dean and Holdsworth work best together. 'Madam Vintage' (AH/JM) (4.56). I guess this is the Holdsworth 'improv' piece, (how many overdubs here though?). Am I right in saying: it is a long time since Holdsworth improvised on such an apparently free piece, back to when he worked with John Stevens in the late 70's? For all its complexity and absence of melody, all Holdsworth fans should love this, the master showing he is still a million light years ahead of the clones attempting to imitate. Note: here only John Marshall is in excellent support; Hopper and Dean taking a well deserved rest - less is more! Finally: can this album be dropped into the section labelled Canterbury in the record stores? Certainly but three decades on and with only a few obvious roots leading back to its origins. This new hybrid may have already outgrown its pot but will its parts stay together for the second album? This is a revival of former Soft Machine members, though few actually played together on any SM release. The musicians include Elton Dean (saxes, keyboards), John Marshall (drums), Hugh Hopper (bass) and Allan Holdsworth (guitar). A gathering of greats, to say the least. Elton Dean's sax is the center point of these recordings. He wrote the majority of these tunes and many have appeared in some fashion on his earlier works. This is a more straight ahead jazz album, little fusion and even less Canterbury. Holdsworth's signature sound is a perfect foil to Dean's long solos. Holdsworth has such a strong command of his instrument, however, he comes off a bit restrained on the majority of tunes. The only drawback, for me, is Holdsworth's use of synth on his chording sections. I've grow weary of the tone. I hope he just plays the strings on any future release, ala, "Home" from Metal Fatigue. A much more enjoyable sound for this type of music. Marshall's playing is swinging and in the pocket. The interplay between Marshall and Holdsworth on Madame Vintage is spectacular, easily the highlight of the disc. Hugh Hopper's fuzzy bass tone anchors the players on their lofty solos. With hope, these guys will make another album.